With the new year, you may be looking to sell your old motorcycle for cash in 2015. Of course no matter what the make or model, Sell Us Your Bike is always looking to buy your motorcycle from you. 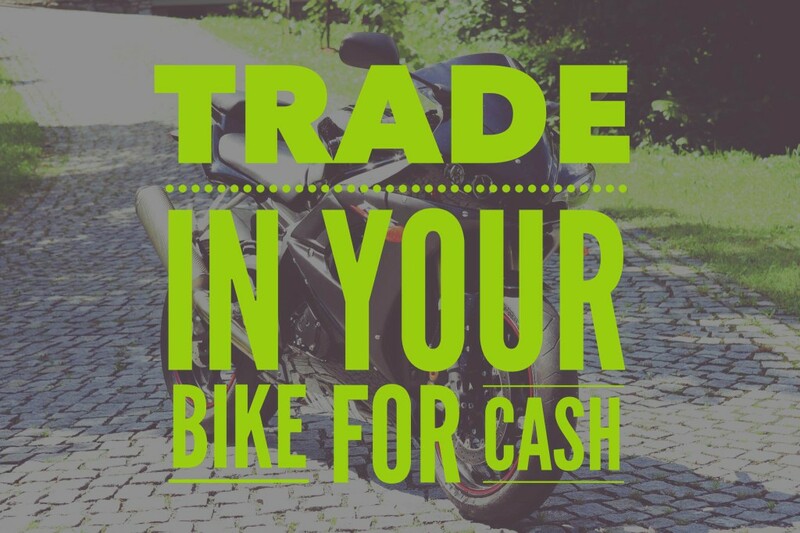 Sell Us Your Bike offers the best price for your used bikes, but in 2015 there is a high demand for a certain type of motorcycle. So we are going to take a look at the top 10 motorcycles for cash trade in 2015. 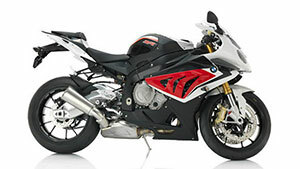 The BMW S 1000 RR is a Sport Style Motorcycle, that has 999cc, Horizontal In-Line, Liquid Cooled, 4 Stroke Engine and a 6-Speed Manual Transmission. BMW created this model in 2010 and has been improving on it ever since. This bike is made with high speed performance and that it is why there will be such a high demand for this bike in 2015. 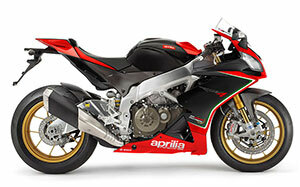 The 2013 Aprilia RSV4 FACTORY APRC ABS SBK SE is a Sport Style Motorcycle equipped with an 999.6cc, Liquid Cooled, V4, DOHC, 4-Stroke Engine and a 6-Speed Manual Transmission. Aprilia RSV4 R ABS and Factory ABS represent the cutting-edge of modern technology and achieve in perfecting what was already top of the line in the previous versions, loved and appreciated by enthusiasts and riders all over the world, not only because of their frame and chassis qualities, but also thanks to the advanced dynamic control systems adopted. The best-handling bike in the 250 class, what the 250 does best is offer precise, nimble, tack-sharp handling. By moving the main chassis spars downward, the 2014 CRF250R features a lower center of gravity. A new cylinder head, new higher-compression piston, and new dual-stage PGM-FI timing for the CRF250R’s fuel injection are fine-tuned to work with the new dual exhaust to give you more low-end horsepower and more freerev up top. 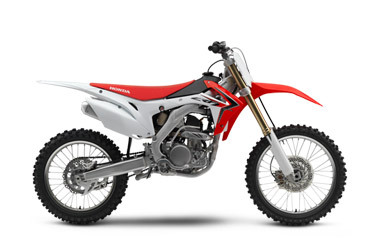 With great handling and terrific power the Honda CRF 250 R is in high demand for off road riders. The 2014, offered a tremendous upgrade over the 2013 model. The 2013 lacked way behind other models, with the 2014, it boldly stepped back to the forefront of the market. Yamaha finally replaced the carb with a fuel-injection system that uses a Keihin 44mm throttle-body. With the great improvements over the 2013 model, the 2014 will be in high demand. 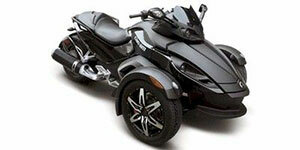 The 2009 Can-Am Spyder GS Phantom Black Limited Edition SM5 is a Sport-Touring Style Motorcycle equipped with an 998cc, Liquid Cooled, V Twin, DOHC, 4-Stroke Engine and a 5-Speed Manual Transmission. The 2005 Harley-Davidson Sportster 1200 Custom is a Standard Style Motorcycle equipped with an 1199.5cc, Air Cooled, V Twin, OHV – Pushrod, 4-Stroke Engine and a 5-Speed Manual Transmission. 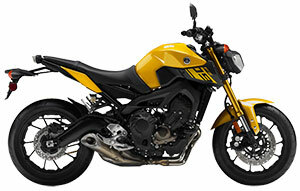 Middleweight but powerful motorcycle, that appeals to many riders, that is why it is still in high demand. 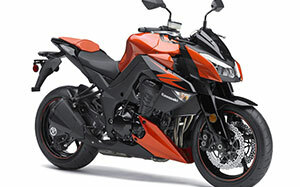 The 2012 Kawasaki Z 1000 is a Standard Style Motorcycle equipped with an 1043cc, Liquid Cooled, Horizontal In-line, DOHC, 4-Stroke Engine and a 6-Speed Manual Transmission. The 2012 Kawasaki is a thrill ride that produces absurd levels of powerful performance while also boasting of distinctive aesthetic qualities. Fast and powerful, what every rider is looking for. 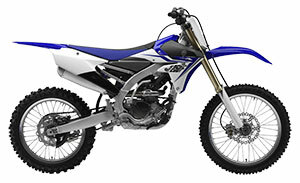 The 2014 Yamaha YZ 250 is a Off-Road Style Motorcycle equipped with an 249cc, Liquid Cooled, Single-Cylinder, Reed Valve, 2-Stroke Engine and a 5-Speed Manual Transmission. 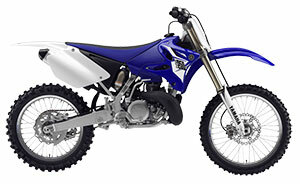 With great handling and more power the Yamaha YZ 250 has become a highly sought after dirt bike. The 2015 Yamaha FZ -07 is a Standard Style Motorcycle equipped with an 689cc, Liquid Cooled, Parallel Twin, DOHC, 4-Stroke Engine and a 6-Speed Manual Transmission. The FZ-09 has been developed around the concept of a “Synchronized Performance”, that allows a rider to enjoy the feeling of complete control in typical everyday riding situations. In other words, the FZ-09 has been designed to respond to your every command. The 2014 Ducati Panigale 899 is a Sport Style Motorcycle equipped with an 898cc, Liquid Cooled, Longitudinal Twin, DOHC, 4-Stroke Engine and a 6-Speed Manual Transmission. The revolutionary technology found in the Monoscocca frame and Superquadro engine, 148 hp delivered with incredible lightness and unprecedented agility, the unmistakable design, Ducati Quick Shift and ABS fitted as standard. The Ducati name has always carried a certain amount of cache with it, and the Ducati Pnigale 899 helps to exemplify that. 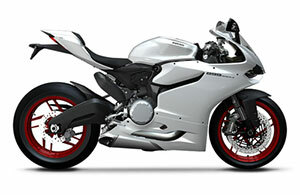 With the power and handling, the Ducati Panigale 899 is the bike everone wants. Of course these are just a small sampling of some of the great motorcycles we are looking to buy. 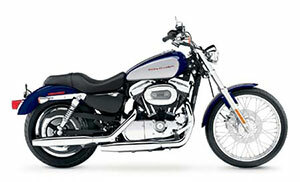 No matter what band or model you have, contact us today because we are always looking for used motorcycles to buy!